*Update* A recent update now allows service area businesses to choose target cities and rank on equal footing with local companies. Read our latest article on the topic. I would venture to say that about 90% of our clientele would like for their Google My Business (GMB) listing to rank in cities other than the one that they are physically located in. The Google ranking algorithm is focused on supplying searchers with proximity based search results. This often creates a problem that Google doesn't seem to care about. You can convince the 'powers that be' that your company primarily services another location. That's right! It's not easy, but there are a few tips and tricks that can help get your Google listing ranking well in cities other than where you receive mail. But be careful, there are some tactics that we don't recommend and can often lead to your listing being suspended. So put your creative cap on, and let's dive in. The quickest and easiest way to rank in a city outside your own is to get an address where you can receive mail and tell Google you're located there. If you're in an industry that travels to it's customers, such as a contractor or realtor, this method can be simple. You need an address where you can receive mail in the city that you want to rank in. The address has to go on your Google listing, but you can hide the physical address from the public. That way, you can use a friend, family member, or rented location in that city. You will need to be able to receive the verification postcard at that location. So you need to be able to have the mail picked up at the location on your behalf. If you're a storefront business that services it's customers at your location, you most likely cannot utilize this method. You will have to rent an office in that city and have it available to customers. You can't use P.O Boxes, rented mailboxes from UPS, or the like. Google is smart. If it's a P.O. Box, you simply can't save the address. If it's the address of a rented mailbox, Google will suspend your listing once they find that out. And believe me, they will find out. Also, I don't suggest that you use an address that is already being utilized for someone else's business listing. For example, if your friend in Seattle owns a business that has a listing, don't use their address for your own. It will get flagged and marked as a duplicate. Geo-Targeting is the method of specifically targeting a result based on a location. For example, "plumber in Las Vegas" is a geo-targeted keyword. Tag everything with the city that you are looking to target. And by everything, I mean ev-er-y-thing. When you upload a picture, the file name should have a 'keyword + city' format, such as the keyword example above. Your website should have geo-targeted title tags, service pages, location markers, etc. All of your content should have the city you're trying to rank in mentioned. Basically, if you can name it - name it with your target city. Be careful about spamming though. Your customers wont appreciate an 'about us' section that just says a city name over and over. And that wont help you rank. Also, don't go crazy. Pick a few of the main cities you want to rank in... not 50. If you travel to your customers, you need to let Google know the areas that you are willing to service. You have a few options as far as setting a service area goes. 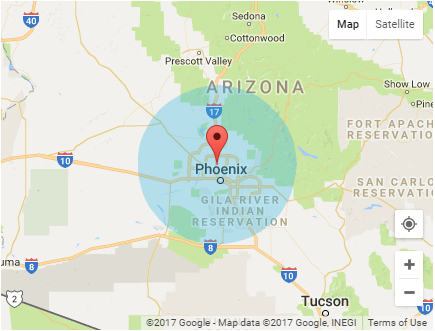 You can use a mile radius option, which tells Google that you are willing to travel X miles from the address on your listing. You can enter a list of zip codes to target specific areas if the radius isn't beneficial for your business. I've run into this often in sea-locked areas where a radius just spills over into the ocean. A service area can also be set by choosing specific cities, counties, or states. There has been a lot of buzz about whether or not a list of zip codes is more beneficial than a mile radius, due to diluting the rankability. I don't think that a rank can be 'diluted', but I have a tendency to agree that using zip codes or cities is safer than a mile radius. Google uses IP address to decipher locations on desktop computers. Which means I can physically be in one part of the city, but Google can assume I'm 10 miles away from that location because of my IP address. This can affect whether or not your listing is eligible to appear for someone who is searching if their desktop computer is placing them outside of your service area. However, nowadays, people do most of their location based searches from mobile devices which use GPS tracking for locations which minimizes that occurrence. Don't expect your service area to work miracles. By setting your service area, you're just telling Google what parts of town you're willing to travel to. You're not going to instantly rank in a location simply because you added it to your listing. The rules of the rank algorithm still apply. Ranking outside of the city that you're located in isn't impossible, but it's also not easy. Just like with everything else, SEO takes time and patience. 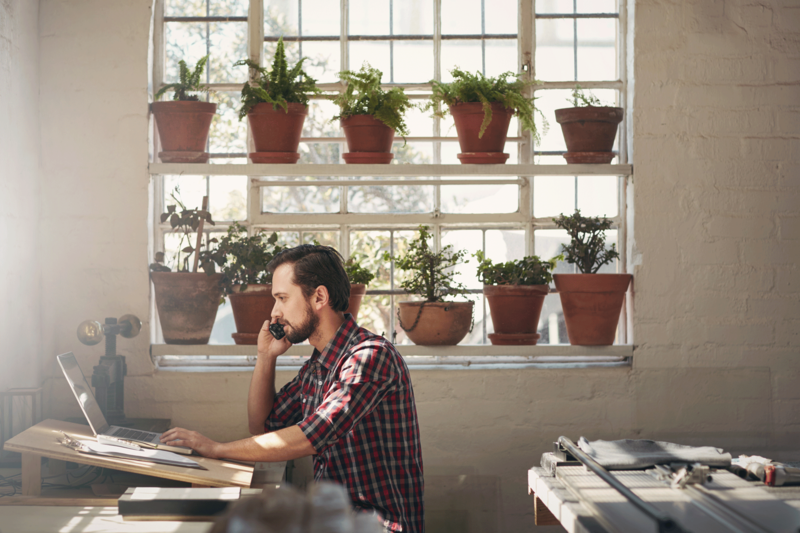 You're making an investment into the digital future of your business. While there may only be 20 competitors within a 10 mile radius, there could be hundreds once you go 50 miles out. That means that the further you get from your city, the harder it will be to rank. When evenly matched with a competing business in other ranking factors, the listing with the closer proximity to the searcher will often win the battle of ranks. 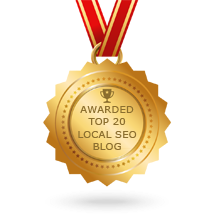 Ranking your Google listing is a local SEO tactic that is not pay-2-play. So, even though it would be best for you if your business could rank anywhere you wanted, whenever you wanted; imagine that battlefield. Rankings would be unfair and fluctuate erratically throughout the day.